Would Brittany Spears wear this? 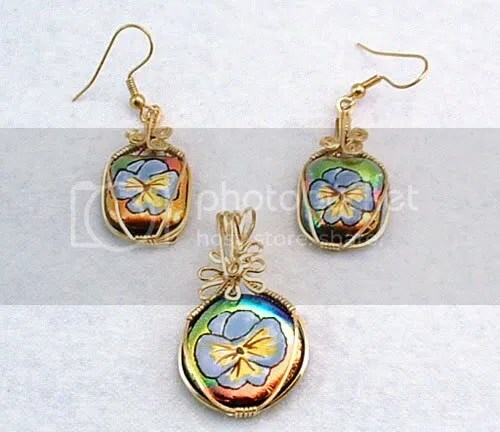 Hand painted pansies adorn color-shifting dichroic beads, expertly wrapped by me using 14k Gold filled wire. 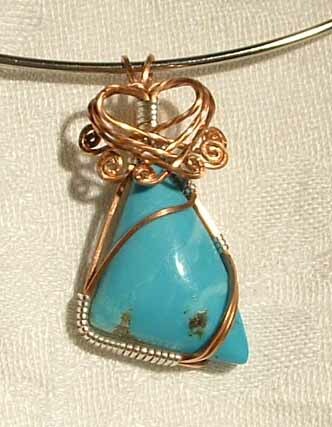 Incredibly blue Turquoise mined from the American West! 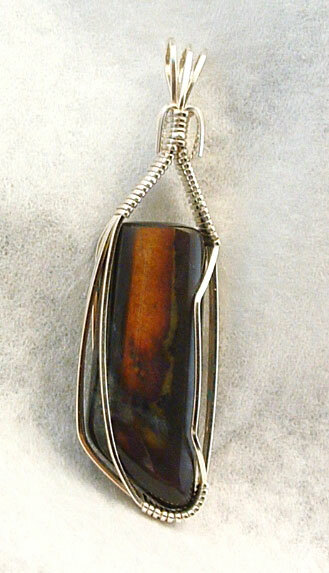 To purchase this lovely pendant and to view other of my jewelry creations, please visit my web-store: Wrapped to Go!